Accountants love the fast filing features of Neat as well as the ability to extend Neat out to their clients so they may collaborate in virtually and in real time. With Neat, gone are the days when a client shows up at tax time with a shoebox stuffed full of receipts. We help you or your clients capture financial information from paper documents and transform them into searchable database records that integrate to popular tools used by accountants such as QuickBooks®. 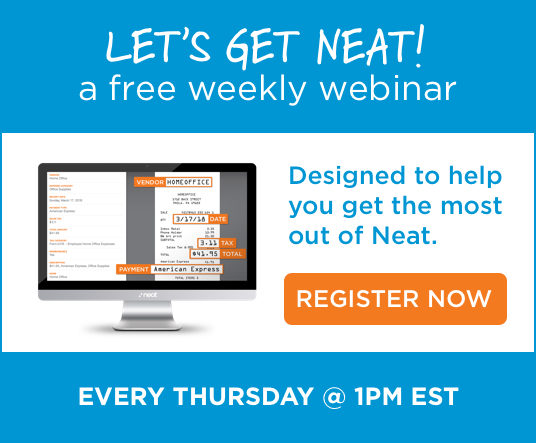 Over 10,000 accountants and bookkeepers use Neat. Here's How.